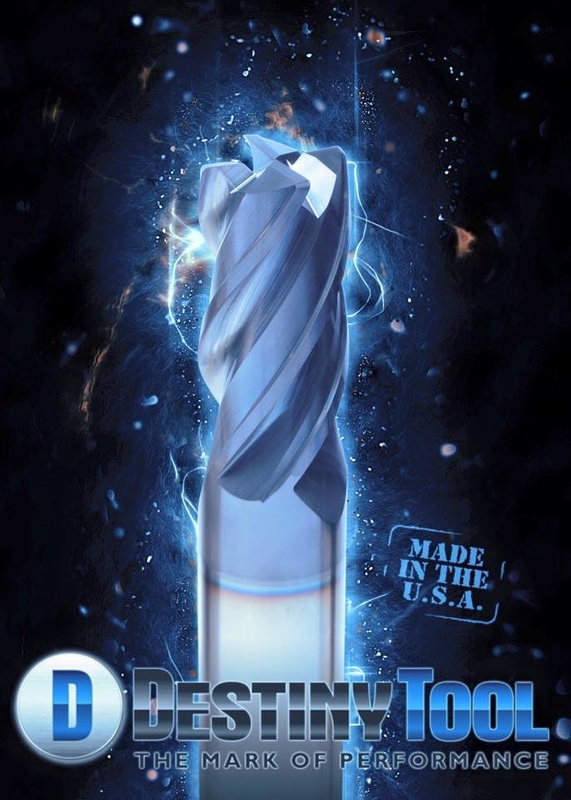 Located in the heart of Silicon Valley, Destiny Tool has developed a series of high performance end mills for use in non ferrous and high temperature alloys. Our unique cutting tools are specifically designed for heavy cuts and very high material removal rates (MRR) while at the same time providing a surface finish more commonly found in finishing tools. Destiny Tool Company established by Guy Calamia in the early 1980’s, as Step Tools Unlimited Inc. At that time Guy purchased the grinding shop from a local tool supply house, where he continued to provide grinding services to the local machine shops. As time went on, the demand for specialized tooling and resharpening services grew to a point of needing more machinery and staff, thus allowing him to expand to a bigger facility. The word was out regarding the quality of the high performance cutting tools offered by Step Tools Unlimited, Inc., and business began to take off! From day 1, Guy always had a vision of what he could do better, and he’d figure out how to do it! In the 1990’s, Step Tools Unlimited, Inc broadened its possibilities with the first Walter Grinder CNC machine. This was a big step for the company, as it was taking much of the old school technology to new heights. Over the years we added more Walter Grinders, more staff, and more high performance tooling solutions. Destiny Tool was the new market name for taking the company to bigger and better opportunities. The original price list, typed on a typewriter, was now, ready to move to an in-house typed catalog. The first official catalog was created in 1996.